SELLING IN THE HONDÓN AREA! ... No Sale, No Fee! Due to HIGH BUYER DEMAND and RECORD SALES in 2018 and of course the opening our 2nd office in Hondon de las Nieves WE NEED MORE HOUSES TO SELL ... NOW! If you live in Hondon Valley, Macisvenda, Barinas, Abanilla, Fortuna, Pinoso, Aspe, La Romana, Salinas or Monovar. 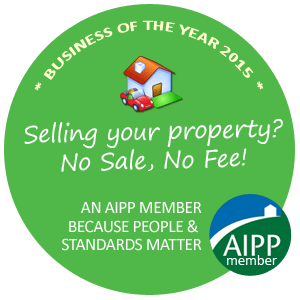 Book your free valuation today. Hondon Villas are the most qualified estate agent in the Hondon Valley. If you are thinking about SELLING your HOME in the HONDON VALLEY or the surrounding areas, then choose the NUMBER #1 AGENT in HONDON. We are WINNERS of the "BUSINESS OF THE YEAR" in the Pride of Spain Awards. WE LIVE & OPERATE HERE! We are called HONDON VILLAS because that's where we sell houses. We are local people and have that all important local knowledge. Our time is spent here, we know the area very well after eights years. Our office is in prime position in Hondon de los Frailes Plaza. We believe that we can only give an excellent service to local sellers if we focus on the local people and customs of the nearby towns & villages of Hondon Valley. We pride ourselves on the personal touch. We aim to get your recommendation to friends. So it is important we help you through the maze of red-tape and legal paperwork. If you employ Hondon Villas as your principal agent we will have all your property papers checked out FREE of CHARGE by our experienced Lawyers. They will make sure your papers are completely up-to-date or, if not, will advise you on how to correct it so the future sales process will be smooth and hassle free. We will look after you... We promise! We have numerous Google busting and targeted web sites and portals: Including: hondonvillas.net / hondon.co.uk / hondondelasnieves.co.uk / hondonvalleyrentals.com) and more. These all afford a prominent TOP 10 position in both GOOGLE, BING and YAHOO* for many "Hondon" related searches. So you can be assured that the REAL people who want to know about Hondon are going to to see your Hondon Property. The Hondon area is a still well kept secret of the Spanish property market, It appeals to the more discerning buyer/investor. Hondon is a special inland property market so we optimise our online advertising to target buyers for the Hondon Area only. Selling your property is all about targeting the right interested people. Google’s own research show people rarely go past the first page of search results for targeted keywords – so if someone is searching for ‘HONDON’ then our sites appear regularly on Page #1 of search results. That betters your chance of a potential sale. Please feel free to contact us or visit our REAL ESTATE OFFICE in Hondon de los Frailes Plaza.